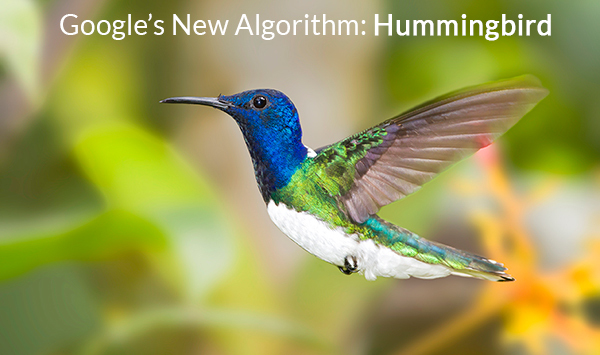 What is Google’s ‘Humming Bird’ Algorithm all About? Google officially announced the latest algorithm on 27th September, 2013- Friday which was pushed live around a month ago. Their is no quick way to SEO, therefore brands need to provide users more quality, linkable, engaging and sharable content. The sites that are paying attention on providing authentic, helpful and relevant content will reap benefits and without doubt gain more visibility. The brand owners must take a serious approach to use of their website. The lesson is about providing the best answers by knowing and serving the customers. With this development, SEO will probably change and concentrate more on creating high-quality, engaging, unique content with the aim of becoming visible in more places and providing the site an opportunity of being higher ranked. They must focus less on keyword stuffing and more use of a conventional tone. They must enlighten more about the website for example using the ‘Structured data mark-up and furthermore optimizing for mobile searches. Cogniter Technologies can help your website get higher rankings by adhering to Google’s new algorithm. We have helped many companies to acquire higher position in search engine result pages. The complete process requires Precision, expertise and professionalism and more than anything dedicated resources.